It all started in Prague. 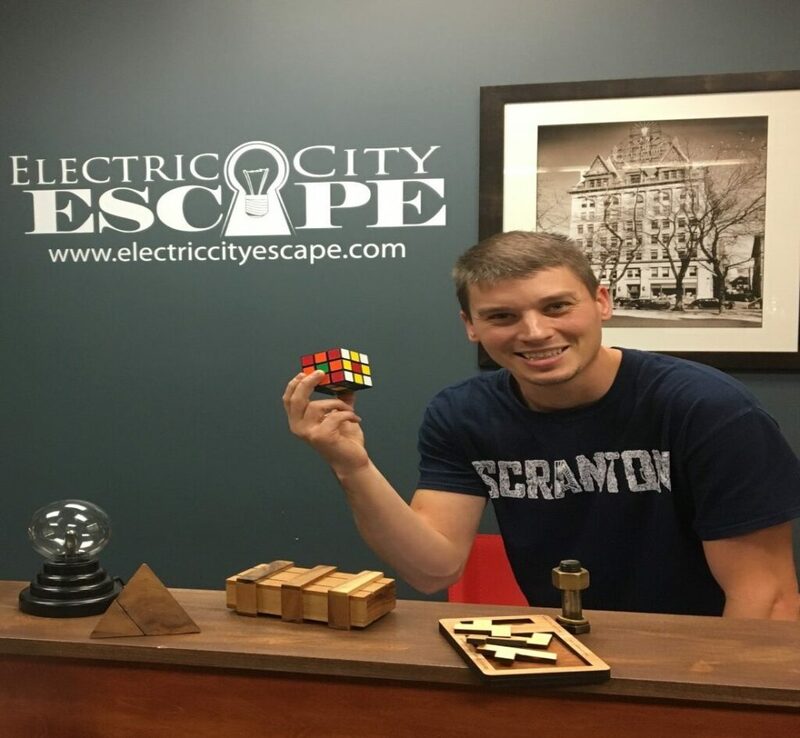 Electric City Escape founders Ryan and Amy Hnat were in that city and stumbled upon an escape room. Eager to bring the idea home to Scranton, they approached the Marywood University Entrepreneurial Launchpad for help. “We thought it would be really cool to have something in our community that was both exciting and theatrical,” Ryan said. Electric City Escape has expanded numerous times since it opened to the public in 2017. Originally comprised of two rooms, Ryan and Amy’s hard work has resulted in multiple expansions of the business, which now has four unique escape rooms: the “Art Heist,” the “Coal Mine,” the “Final Act: the Houdini Experience,” and the “Doctor’s Study.” Ryan Hnat built and created all of the puzzles. A school teacher by trade, Ryan credits his success to his professional background. From now until the end of the year, students get 40 percent off on Thursdays or 10 percent off other days of the week with a student ID. Wanting to bring enjoyment, theater, and fun to the people of Scranton, the Hnats hope to play an active role in Scranton’s Renaissance. “Our goal is to provide fun and adventure outside of your daily norm… we may not bring in hundreds of people into Electric City Escape every night, but we notice the impact we have on other businesses in the downtown by helping the economy,” Ryan said. For more information, visit www.electriccityescape.com. This article was written as part of a collaborative effort between Dr. Kim Pavlick’s COMM 224 Newswriting class at the University of Scranton and the Chamber’s Communications Department.